FaceGO cannot be spoofed by fake faces, dummies or photographs. Dual sensor technology provides 3D image performance. than fingerprint devices, providing more accurate identity management. False Rejection Rates (FRR) are less than 1%. Dual SensorTM algorithm ensure speed and integrity. Simply look and go. No toggles to carry, no cards to lose. Touchless technology is inherently more hygienic than fingerprint. All of our FaceGO devices use Hanvon’s patented ‘Dual Sensor TM’ algorithm – the system uses two on-board cameras. This achieves the richness and accuracy of 3D face recognition, but at the high speeds associated with 2D recognition. The end result of this is highly accurate identification, in a fraction of a second. The following diagram shows the key steps in the recognition process. Accuracy – ‘Dual Sensor TM’ matches against more data points than fingerprint. Reliability – Fingerprint is unsuitable for 5% of users. Face recognition has < 0.0001% failure to enrol and acquire rate. Identity management using biometrics involves the use of automated systems to analyse an individual’s different behaviour traits or physical attributes. The increased security inherent in these systems is being used in fraud prevention and to help combat identity theft. Biometric identity management requires no pin numbers, cards, fobs and so on, making it a much more convenient option than more traditional methods of identification. 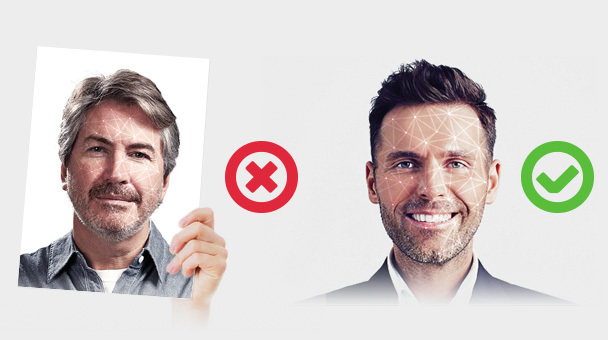 Hanvon is a global market leader in face recognition systems, and has been in the broader field of biometrics since 1985. Hanvon’s FaceGO product line was the first system to utilise an embedded recognition algorithm. Thousands of successful installations worldwide pay testament to this innovation. FaceGO equipment is recognised worldwide for its high performance and accuracy.